Cyberpower Inc., www.cyberpowerpc.com a manufacturer of custom gaming machines, notebook systems, and high performance workstations, today announced its Power Mega II series – a family of Intel Sandy Bridge-E, Ivy Bridge, and Xeon-based professional workstation PCs with NVIDIA Quadro graphics that set the bar for high-performance graphics workstations. CyberpowerPC has teamed with Intel and NVIDIA to deliver an advanced workstation series that can tackle today’s most demanding CPU and GPU-intensive applications out of the box. Offered in three versions and six configurations, the Power Mega II series provides stability and ease-of-use. All models have been tested for compatibility with the leading business, graphics and CAD applications. 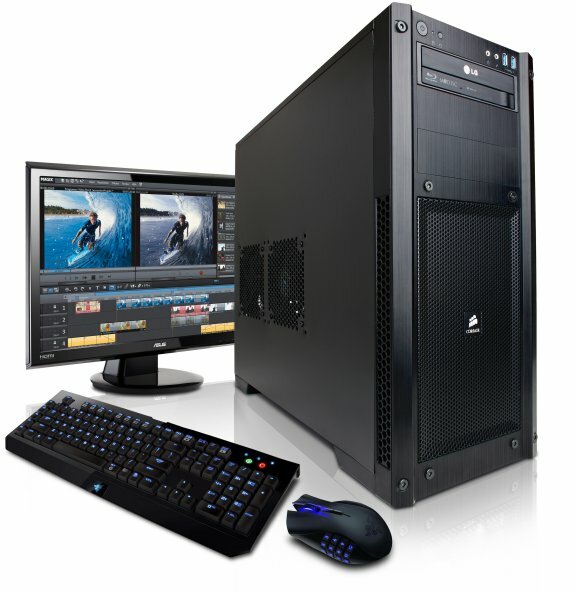 These advanced performance workstations are perfect for 2D and 3D professional applications, professional and home animation, matte painting, compositing, CAD/CAM, modeling, and graphics rendering. The Power Mega II incorporates only the fastest performance-oriented CPUs from Intel. Users can build a system based on Intel 3rd Generation Intel Ivy Bridge; 2nd Generation Intel Sandy Bridge-E; or Intel Xeon 2600 Series CPUs. These ultra-fast chips include features such as hyper threading and turbo boost optimized for mega-tasking. CyberPowerPC pairs these CPUs with top-of-the-line Quadro GPUs from NVIDIA, which deliver up to 5-times faster 3D performance and 8-times faster computational simulation across a broad range of design, animation and video applications. NVIDIA’s CUDA technology enhances GPU processing speed by offloading dedicated work to the GPU; accelerating your tasks and improving your multi-tasking capabilities. CyberpowerPC’s utilizes self-maintaining efficient cooling systems from Corsair and Asetek that’s optimized for the new Power Mega II series to provide maximum heat dissipation in near silence. Power Mega II workstation can also be easily expanded. Every Power Mega II system includes feature-rich motherboards that provide the needed essentials to enhance your computing experience such as USB 3.0 to SATA III with RAID support; Intel Ethernet LAN and multi-GPU support. 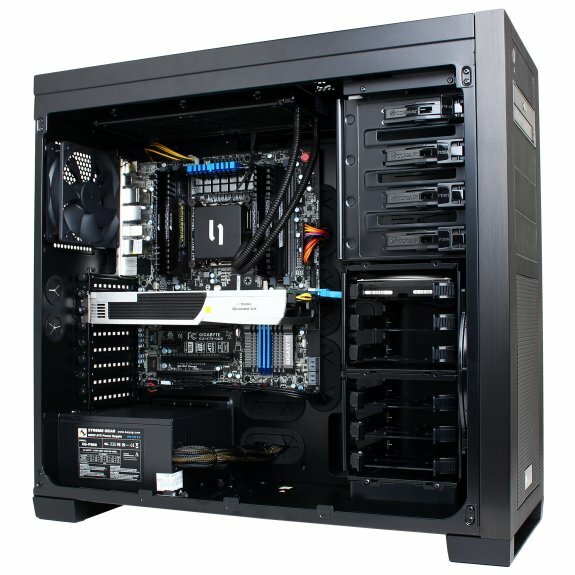 Power Mega II performance workstations are also enclosed in a rugged computer chassis that provides style while mitigating system noise. The Power Mega II series can be customized with numerous component options including a wide range of displays. CyberpowerPC loads every Power Mega II system with Microsoft Windows Professional 64-Bit and includes an industry-best-3-year limited warranty and free lifetime phone support. The 2000 series offers more horsepower for visual designing and CAD work. Intel 2nd Generation Sandy Bridge processors delivers superb CPU compute and NVIDIA Quadro series GPUs enhance productivity for software such as Adobe CS5 or above and AutoCAD. Starting price is $2,229. The 3000 series is the ultimate fully-customizable graphics workstation. Choose between a single quad-core Xeon CPU or two EIGHT-core Xeon CPUs for 16 cores of raw computing power. The Power Mega II series can also support up to 4 NVIDIA Quadro GPUs to get all the CUDA cores you need. The Power Mega II 3000 series offers 3D artists the performance needed to accelerate their workflow. Starting price is $3,539.